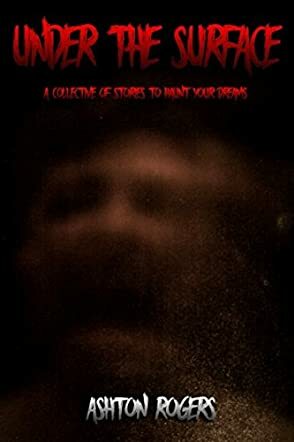 Under the Surface: A Collective of Stories to Haunt Your Dreams is a collection of dark horror short stories written by Ashton Rogers. Jim knew he would have to cool his affair with Susan -- at least for a little while. His wife, Carol, was getting increasingly testy about his long hours at the office, and when he woke up that morning to the sound of her sobbing, he promised her an early night of romance, a date night. Carol seemed to perk up a bit at his promises and even offered to make him a shepherd’s pie for dinner that night. After he left, he texted Susan, but his newly found resolve to cool things down melted in the face of the latest images Susan sent his way. The shepherd’s pie that night was bliss itself; Carol had always made great pies, but this one was somehow even better than usual. While they watched their favorite TV show that night and went about getting reacquainted with each other, Jim kept on thinking about those pictures. Susan’s impromptu call proved to be an irresistible temptation, but something was horribly different. Ashton Rogers’s collection of dark horror stories, Under the Surface: A Collective of Stories to Haunt Your Dreams, is well-written and likely to make readers wonder if they really should eat that spicy dinner so late at night. Rogers’s stories fall squarely into the realm of the macabre, and you can’t help but have sympathy for any character ensnared in the author’s Byzantine plots. I especially appreciated the unifying threads of some of these tales. Rogers’s stories are well-written, and his characters are credible and noteworthy, even while they seem doomed by the fact of their very presence in this dark collection. Under the Surface: A Collective of Stories to Haunt Your Dreams is highly recommended. Each individual story will keep you on the edge of your seat wondering what will happen next, and the intertwined web that brings the stories together is dark to say the least. A definite page turner that will disturb and amuse. Loved this book. The way everything stands alone but also connects together makes it way deeper than it seems at first glance. Some of the stories were really unnerving. Absolutely amazing storytelling, keeps you locked in from beginning to end. Love the fact that all the stories overlap each other in very subtle ways. Definitely worth the read! A great collection of stories and very well written! It is very cool that the stories have a common thread to them! Pick this book up! Perfect for teens and young adults as an entry into the horror genre. Whoever said this was perfect for younger readers is completely off base. After reading this book I'm really questioning what that person lets their kid read. It's a good book but it is filled with graphic scenes of violence, descriptive gore, and adult language and situations. This is NOT for kids. The book was great for such a short read. I'm glad I stumbled across it. Has much more depth to it than you think at first glance. Doesn't really come into focus until you have read all the stories.